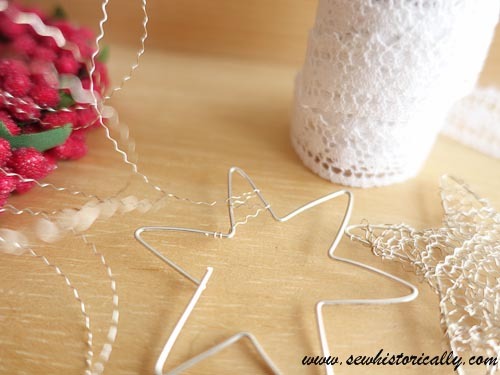 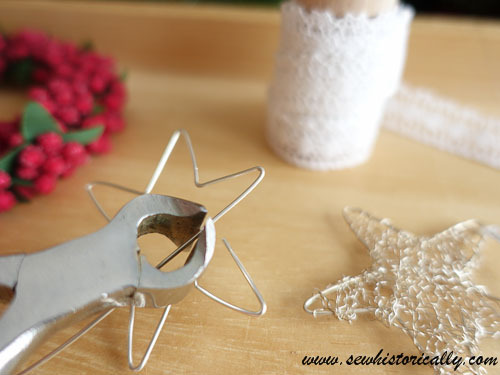 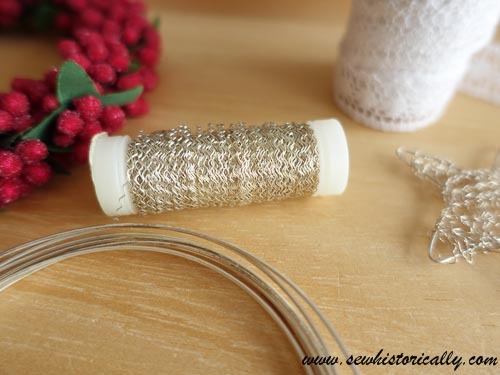 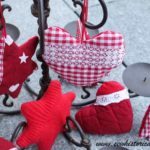 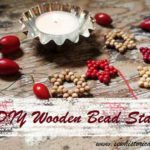 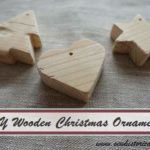 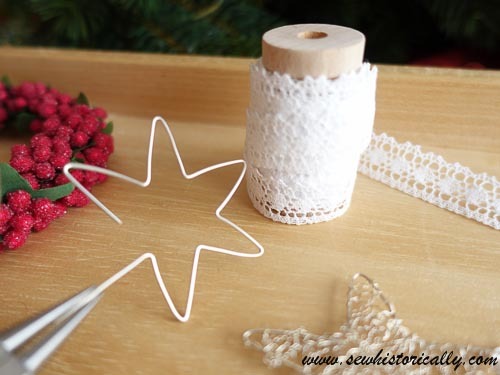 Today’s tutorial is for wire wrapped star ornaments. 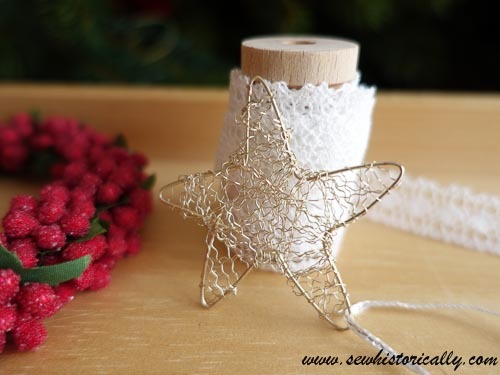 Don’t they look elegant? 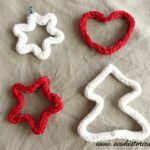 And they’re so easy and fast to make: it takes less than 5 minutes to make one star. 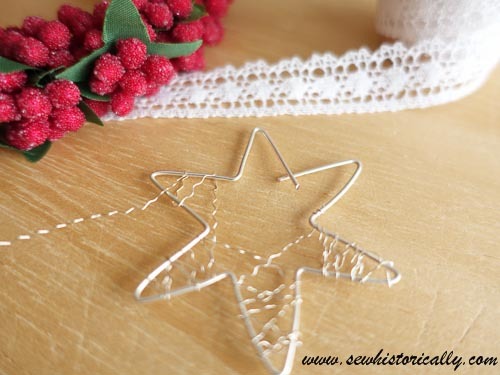 Bend the silver wire into a star shape. 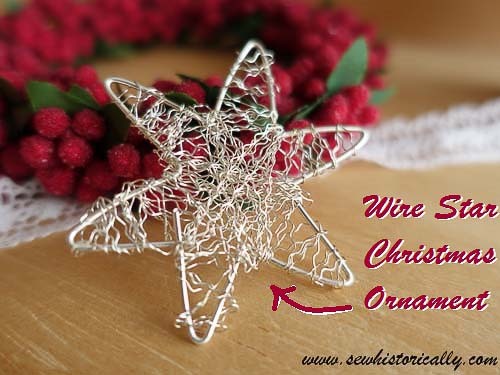 Wrap the zigzag wire around the star, beginning at the points.